and private-sector crime prevention partners. 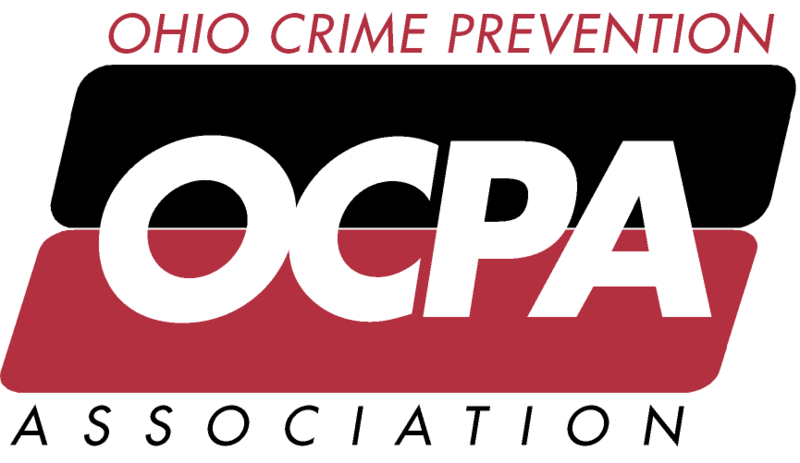 OCPA develops and advances a continuum of educational opportunities, resources and networks to prevent crime in Ohio. Coordinates the efforts of members representing law enforcement, government, corporate, social service, educators, the media, faith and citizen partners into a cohesive and effective force, dedicated to building safer communities. Provides progressive, professional training on all aspects of crime prevention and community policing. Gathers a wide range of crime prevention and community policing resources and provides members access to them through a central Resource Center and Lending Library. Promotes the beliefs of crime prevention and principles of community policing through the development of comprehensive publications and manuals. Recognizes remarkable individuals for their outstanding efforts in reducing and preventing crime in Ohio. Serves as a supportive authority and technical advisor to law enforcement agencies on crime prevention, community policing and related issues. Collaborates with all levels of government and other organizations to maximize information sharing and resources to achieve the common goal of safer communities. Prepares a cadre of presenters to train the community in effective crime prevention strategies and ways to localize initiatives to best meet the needs of a specific area. Leads, at the state and national level, crime prevention projects with far-reaching, long-term community benefits. Advocates for legislative action on a range of crime prevention measures, to institutionalize crime prevention as a way of life in Ohio.